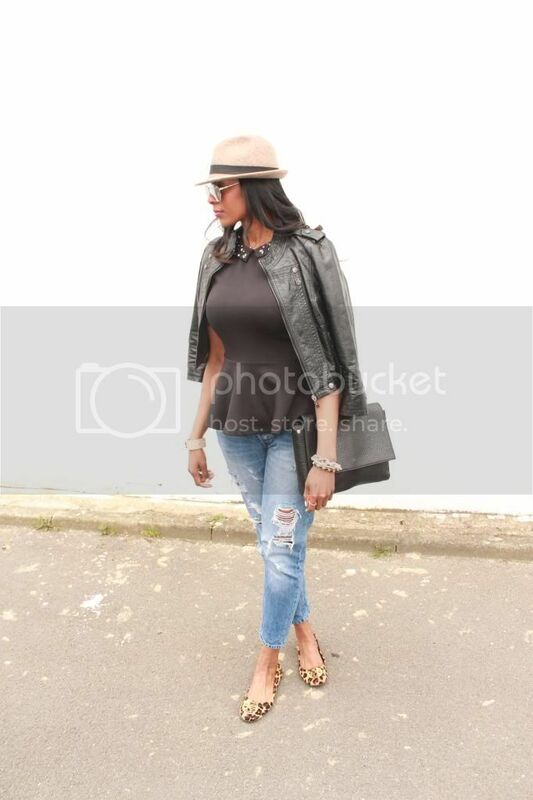 Going for a rock chic vibe today with my studded peplum top, ripped boyfriend jeans and trilby combo. I love how the peplum shape balances out the bagginess of the jeans yet still keeping my look chic. The last time I showed you these jeans (here) I styled them with the hems rolled up. They are actually too big for me and I originally intended to have them altered, however I have found them to be ridiculously comfortable! I have thought about wearing my real life bf's jeans, but he likes his super baggy which well let's just say would probably double the size of my rear! Are you addicted to wearing boyfriend jeans or your actual bf's jeans? If so, how do you like to style them? That H&M top is so great! I have yet to dip my toe into the peplum trend but I really feel as though I might as summer progresses. 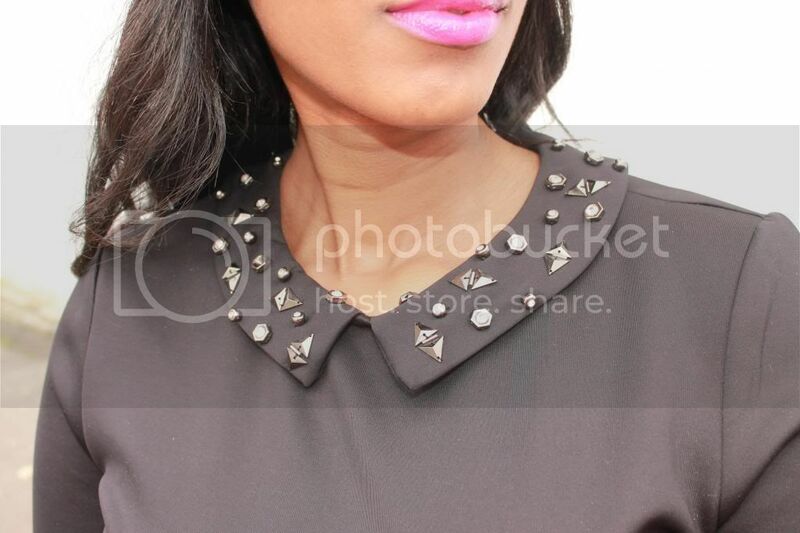 The studs on the top and the Tory Burch shoes just add some funk to the outfit to make it a little bit unique. Love! Love the wild detail of the leopard shoes. glam ... Glam ... GLAM !! !